Incubator Duct Tapes Children's Faces! 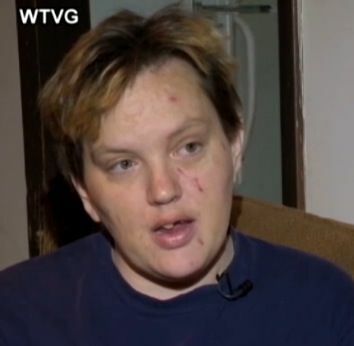 An Ohio mom pleaded not guilty to two charges of child endangerment after wrapping duct-tape around two children's faces and heads. Police said Tiffany Ennis, 31, of Sandusky, Ohio, sent a text message with a picture of her son, 8, with his forehead, eyes, and mouth duct-taped to the boy's father on February 18. Fearing for his child's safety, Rudy Yado contacted Sandusky police and asked officers to check on the boy at Ennis' home, according to the police report. Ennis told police she was playing around with duct tape with her friend and their kids and that she had wrapped tape over her son's eyes and mouth because they both thought it was funny, the report said. Sandusky PD, Tiffany Ennis, a mother who allegedly duct-taped two children has been charged with child endangering, according to Sandusky, Ohio, police. Only the boy's nose was left uncovered. She also taped up the head of an 11-year-old girl, according to the police report. The report did not identify the parents of the girl. According to the report, Ennis told police the children were not hurt and no marks were found on them. Ennis said it was not meant to be hurtful and they were joking around, the report said. Det. Sgt. Dana Newell of the Sandusky police department told ABCNews.com that he went to Ennis' home on Februaru 19 with Erie County Child Services to check on the children. Upon investigating the complaint, Newell said Ennis was subsequently arrested for duct-taping the children's heads and eyes, and transported to the Sandusky police department. She signed herself out, he said. Newell said he could not confirm as to whether Ennis' son was still with his mother. She is due back in Sandusky Municipal Court for trial on May 30. Neither Ennis nor Yado could be reached by ABC News for comment. Re: Incubator Duct Tapes Children's Faces! "transported to the Sandusky police department. She signed herself out, he said." Can you even DO that at a police station? is that a roll of ducttape behind the fatty on the couch ?